Listen To This... Warning! Heat Ray! Marking the 60th anniversary of Windrush and the 50th of the Notting Hill Riots “Spit It Out” by Warning! Heat Ray! is one of this blogs favourite tracks of the year. MLD co-writer Ryan loved the disturbing way “the icy vocals and bleepy electronics combine with archive voxpop samples” while reader Renee perfectly judged the track if not our readership, flatteringly declaring “Thanks for bringing wonderful music to the masses“. Warning! Heat Ray! started a campaign to get the BBC to release their Windrush 60th anniversary documentary on DVD. Find out more, email Auntie, do the facebook thing and get this essential historical document on the shelves and in the classroom. Ash from Warning! Heat Ray! kindly agreed to a musical duel with MLD co-writer Ryan, both picked 3 tracks they love for the other to either gasp in delight or feign enthusiasm for. Also download Ash’s latest 60 minute mash-up mix of 7″ guitar-based records here. It’s rare for me to feel anything for piano-oriented singer-songwriters; but in Rob’s case, this is one such rare occasion. His hip-hop influence is immediately apparent from the rolling bass lick which sits well with a breezy sounding drum kit (which Rob also plays: frustratingly, annoyingly talented). The lyrical content of ATD sustains interest throughout the length of the song with a bright, anthemic chorus featuring good use of double-tracked vocals. There has been a recent tendency for vocalists to accentuate regional accents to establish some sort of ‘class-integrity’ and to bond with an audience. I find it a nauseating practice, but Rob’s colloquial splashes and phrasing is integral to his songs; and, more importantly, I believe them to be genuine. With strings in the middle-eight backed by a broken-beat; there could be little more that I could want from this song. The stuttering ending, and perhaps unnecessary use of feedback, is a nice exercise in artistry vanquishing the pop glory of ATD. Listen to this on MP3 and you will miss the delicious low end bass that resonates throughout. One to pick up. 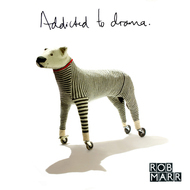 ‘Addicted To Drama‘ brings to mind the Hip-Hop influenced Indie of Jamie T, Mr. Hudson, Kate Nash etc (Although with considerably more subtlety). If they can score regular hit singles, then somebody pass this guy a large scale record deal. The Bass rumbles, the keyboard bounces and the explosion of strings midway through is gorgeous. 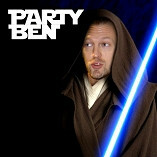 The first track is based on the idea that everyone should have Party Ben in their lives. It was almost agonising to pick just one of his inspired Mashups to recommended. ‘Callin’ Up The Pieces‘ is a seamless blend of the legendary Sax from ‘Pickin’ Up The Pieces‘ by The Average White Band with some rather wonderful rhymes from Lyrics Born. I’ve currently got seventy-plus Party Ben tracks rockin’ my hardrive. They’re Mashups put together with love and no small amount of cheek. His self-deprecating website is constantly updated with new mp3s. Go there now and you’ve got a musical friend for life. Party Ben – I wasn’t so sure about the name and I remember Osymyso mashing 101 tracks up in the 90s on Intro-Inspection which kind of killed off the ‘genre’ for me. Anyway, I found the first 27 seconds of the track a little overbearing, but the mix of the two tracks works really well. The musical changes are matched well to Lyrics Born’s verse / chorus. It’s a good mix, and I did go and dig through Ben’s back catalogue afterwards, sadly not finding anything as good as this there. Clearly a novelty tune; one that I’d play if I was DJing – it’s not something I feel like I need in my life. Osymyso.com is much more my thing. 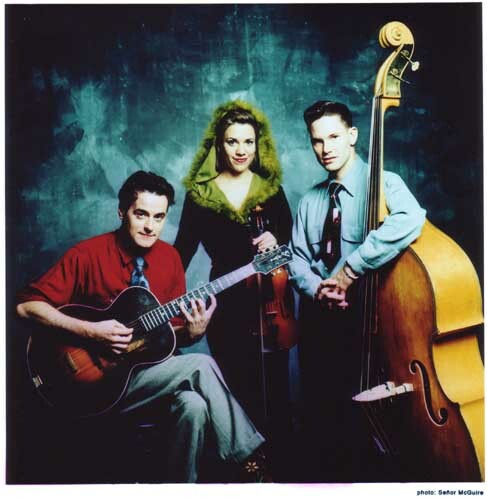 Hotclub are a Texan swing trio I first saw at Glastonbury, 2004. Whit, Elena and Jake drove the acoustic tent to frenzy with their electric take on swing-country-jazz-blues. Each musician’s talent frequently beggars belief; often playing three part harmonies between them both vocally and instrumentally. Little wonder they were selected to support Bob Dylan. After a two year hiatus, they’ve returned from their split and made amends. Having seen them on tour just the other week (Sep 4th) at Dingwalls – they completely re-ignited the flame in my heart. It’s almost impossible for me to pick a song from their extensive catalogue – but whatever the song was to be, it had to come from their live set as this is where they’re at their most exciting. I chose Orange Blossom Special as it simply demonstrates everything that I just said – if you don’t feel a little chill at that key change…well there’s nothing more that can be done. If it hadn’t been for McCartney at Glastonbury 2004 – HCC would have been pick of that year. A band that consistently plays on the edge, I spoke to Whit after the show and asked him how he enjoyed their frenetic set. He replied – “Just holding on there – just holding on”. I’d consider myself open minded to new sounds but I’m struggling to love this Hot Club Of Cowtown song (Even in an “ironic” Hayseed Dixie kinda way). That said, if any track was going to make me like Bluegrass this’d probably be it. The fiddle is played so furiously you’d think her life depended on it. She’s like the violin playing Hendrix bringing to mind trains rushing past my ears (Which is clever as the ‘Orange Blossom Special‘ was infact a train). 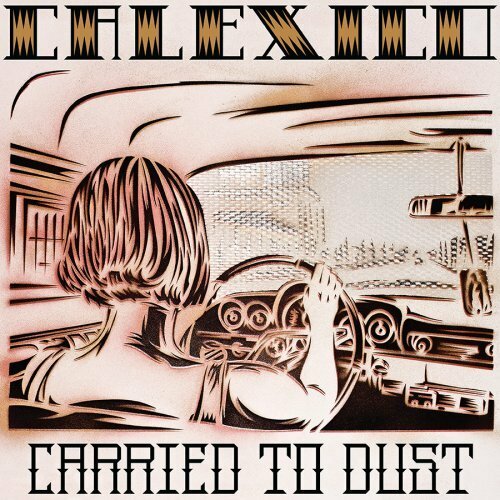 My second choice is a brand new track from Calexico’s ‘Carried To Dust‘ album. It’s cold, moody and beautiful like the moon reflected in dark sinister waters. Whispered vocals, creepy Bass, and twinkling Pianos add up to an intoxicating song. Definitely music made for listening to in the witching hour. The icy feel continues with Calexico’s latest. I’ve been a fan of Calexico since seeing Shane Meadow’s Dead Man’s Shoes (incidentally, Anjan Sarkar who drew the graphic novel to DMS also did the artwork to the WHR single). This song is a slight departure from the Tex-Mex of Black Light. The familiar instrumentation is there but the glorious, shimmering chorus seems so unlike them – but it’s no bad thing. If this single is anything to go by, the album should be invigorating. I’m looking forward to seeing them live later this year. Already contender for my album of the year. London Zoo is a sound I never realised I was waiting for. A ferocious collision of some of the best Caribbean music forms, and all pulled together by a man called Kevin. Futuristic and creepy production combines with explosive MC-ing to produce this dark, sickening track for the zeros. I came to the dubstep scene quite late, introduced to it by Public Enemy’s Bomb Squad when they played it during their set at Brixton earlier this year. I never thought music so slow could make you want to jerk your body so violently. Indeed, though the track has violent connotations (skeng is patios for a gun), I find the messages permeating London Zoo to be thrillingly uplifting. ‘Skeng‘ is the first track from the Dubstep genre that I’m totally loving. Maybe that’s just because it’s got vocals (And I do like my vocals and lyrics) giving shout-outs to all four corners of this island. The atmosphere is dark, the Bass is subsonic and it’s got more lines about guns than an NRA recruitment leaflet. 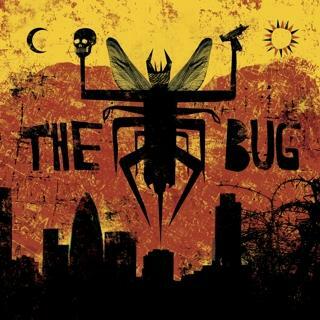 I’m checking out the rest of The Bug’s ‘London Zoo’ album as soon as I’ve typed this. 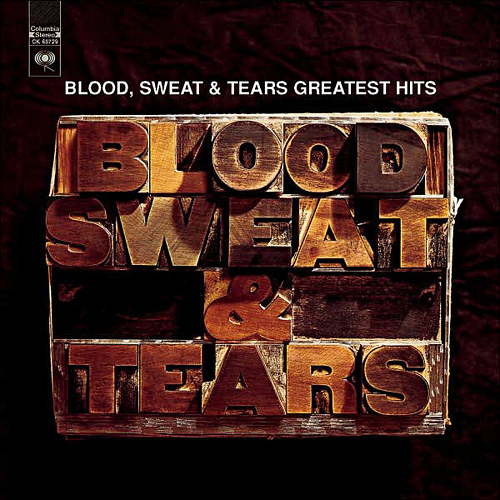 My final selection is a classic Jazz-Rock number from 1969 by New York Band Blood, Sweat & Tears. It’s a cover of a Laura Nyro song from two years before that’s been a personal favourite for some time. When the Harmonica starts off you might think it’s a bit cheesy but by the end it’ll have you pumping your fist in the air like a Trombone. They just don’t make Rock music as odd as this anymore. I don’t know why, but I went about listening to Ryan’s choices in the opposite recommended direction. Maybe it’s because I’m a Londoner. Either way, starting with this slice of jazz-rock-funk was an inspirational revelation. I’m a big fan of The Band’s Rock of Ages CD which featured the Memphis Horns. There’s a similar feel here, but wrapped in the wintry spirit of New York across this beautiful, jittery piece; the funk at 2.57 sends the track into hyperdrive. I am completely smitten by this record – so very much more, please! Blood Sweat & Tears Calexico Hotclub of Cowtown Listen To This Party Ben Robb Marr The Bug Warning! Heat Ray!